That’s not it!! 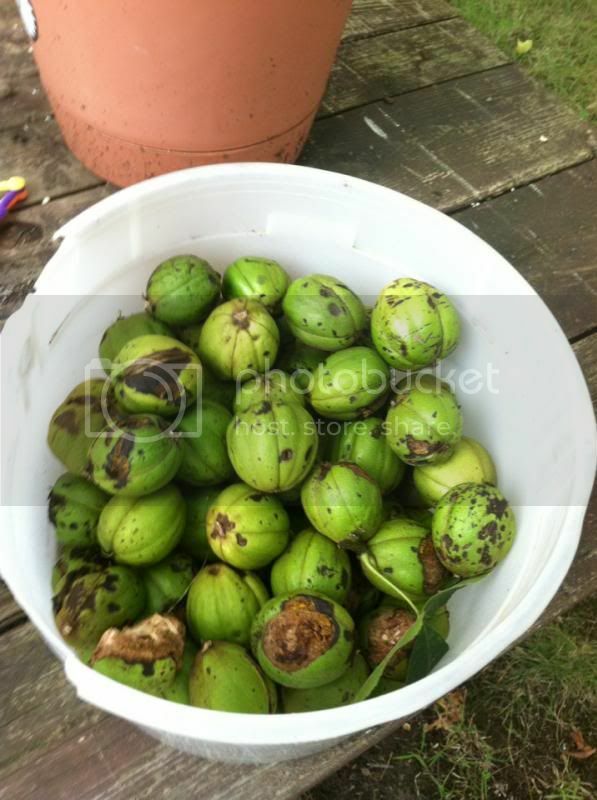 We still have 2 big buckets full of hickory nuts from our yard. No! I don’t have any plan on baking any of it, thus we can burn them in our fireplace. My son and I are always busy whenever we went outside; either picking up those nuts that fall on its own or the squirrel dropped it after they ate. Some nuts were starting to mature and others were just too young. Not sure if they have nuts in the very hard shell, since the last time we tried it. It doesn’t have that much.